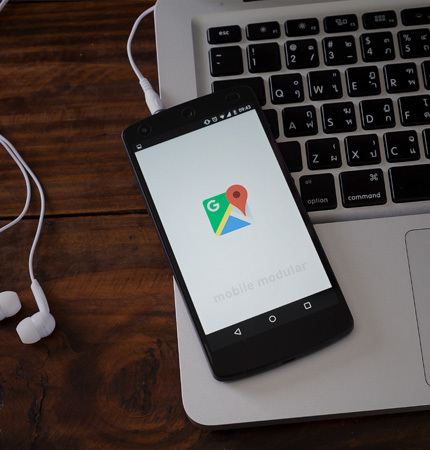 that Mobile Modular now offers, modular warehouses or modular office spaces are often cost three to five times less than conventional office space. 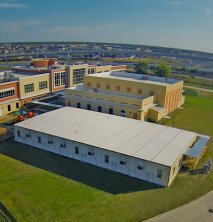 Since 1979, Mobile Modular has offered a wide selection of modular office building solutions to help keep up with all your business needs. Our centers are located across the country, so shipping is quick and easy no matter where your new offices are located. Our knowledgeable installers are familiar with special site security, safety, and various types of site conditions. 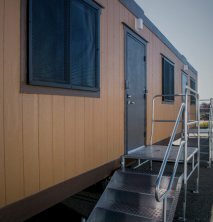 We can provide well-maintained prefabricated modular office buildings in a variety of sizes and configurations, with or without restrooms, for all of your modular office needs. All our prefabricated commercial buildings include heating and air conditioning units, vinyl-clad metal exterior doors, and vinyl tile flooring. Read more about our modular office solutions in our detailed product guide. 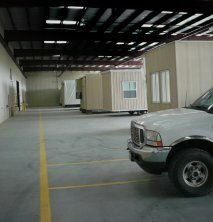 Mobile Modular also offers a wide range of used commercial temporary buildings at affordable prices. Used modular buildings in our inventory are thoroughly inspected for safety and quality before purchase. Browse through our range of used modular buildings to find the right one for your requirements. Contact us or request a quote today for additional sizes and specifications, or find our products at your location . Get in touch with our team at 877-221-2813 to get a custom quote on new and used prefab commercial buildings, and modular office spaces for sale. Every Mobile Modular relocatable workspace is thoroughly cleaned before being shipped to the installation site. We provide on–site unit upgrades, such as the addition of walls, windows and doors. *Floorplans may vary. All features, specifications vary by region and product type.